UP Surf Coaching is located in Raglan, a small surf town on the west coast of the North Island, 2 hours drive from Auckland. 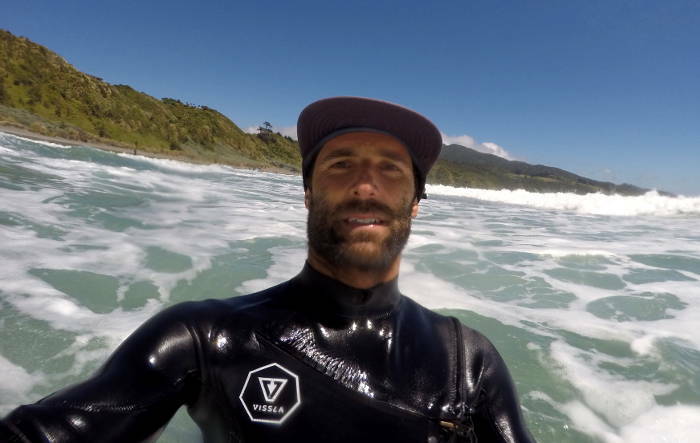 Most of our lessons take place at the local Raglan surfing spots, but we also run surf camps in other parts of New Zealand. Raglan is one of the most consistent places to surf anywhere in the world because it gets constant swell and the shape of the coast here provides shelter from the prevailing south-west wind that ruins surfing conditions on other parts of New Zealand’s west coast. The local beach has gentle breaking waves over a forgiving sand bottom most days of the summer. There are always waves – I’ve only seen it too small for beginners on one occasion. 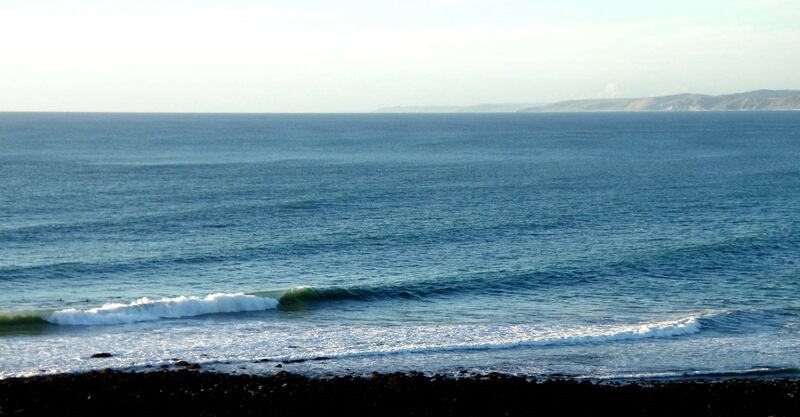 That’s the main advantage Raglan has over other New Zealand surf locations. Surfers come from all over the globe to go surfing in Raglan due to the 3 famous pointbreaks of Manu Bay, Whale Bay and Indicators. These spots have more advanced waves that break over boulders to provide long rippable lefthanders for experienced surfers. These spots are also very consistent and have great conditions even in onshore winds. It’s pretty easy to find your way to Raglan as it lies on the main highway (23), 40 mins from Hamilton. If you’re coming from overseas, the closest airport is Auckland and the drive from there is less than 2 hours. You can get here with public transport quite easy if you don’t have a car. First take an intercity or naked bus from any main centre to the Hamilton Bus Station. Then take the Raglan Bus (23) from there to Raglan, it goes several times a day and costs about $8. The timetable is here. There are many places to stay in Raglan from budget to high-end. Town is about a 10 minute drive from the surf spots and beach so it’s worth thinking about whether you want to stay close to the restaurants, shops and bars in town, or stay out by the waves where there is nothing but nature. If you want to book in for coaching, feel free to hit me up for some advice on places to stay. Raglan is more interesting than your average small New Zealand town. There is quite a bit going on, especially in Summer. The landscapes are amazing and plenty of cool adventures can be had – kayaking on the harbour to check out the limestone formations, climbing Karioi, the mountain that looks over the coast, rock climbing, or visiting bridal veil falls. Town itself is worth a look with plenty of art galleries, cafes, surf shops and good kai. Check out Raglan Roast for the best coffee and the wharf at the other end of town for fresh fish and fish n chips.